Holy rompin' Rhyolite, Batman! 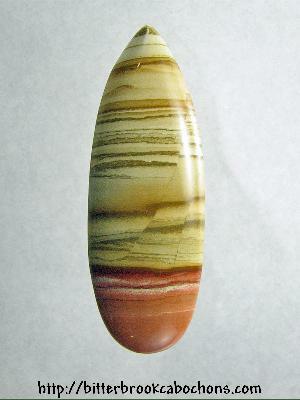 This giant freeform teardrop-cut Rhyolite cabochon is definitely not for an earring! You can see areas where the rock fractured and healed ages ago, and it looks awesome. Start your own zoo with this big beastie! 65mm x 22.5mm x 8mm. Weight: 84.50 carats.